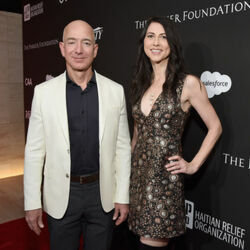 How much is MacKenzie Bezos Worth? 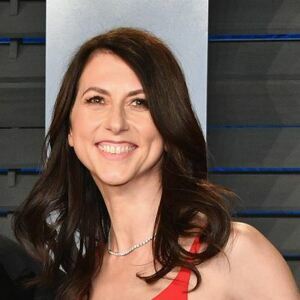 MacKenzie Bezos net worth: MacKenzie Bezos is an American novelist who has a net worth of $36 billion. MacKenzie Bezos was born in San Francisco, California in April 1970. She is known for being the wife of Amazon founder Jeff Bezos from 1993 to 2019. 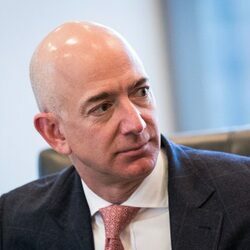 In 2018, Jeff became the richest person on the planet thanks to the rise of Amazon's stock price. He owns 17% of Amazon. Jeff and MacKenzie have four children together. MacKenzie Bezos has authored the books The Testing of Luther Albright in 2005 and Traps in 2013. She won an American Book Award in 2006. In 2014 she founded Bystander Revolution, an anti-bullying organization and she is the executive director. She graduated from Princeton University with highest honors and studied under writer Toni Morrison. She worked for Jeff Bezos in 1992 at New York City hedge fund D.E. Shaw and the couple married in 1993 and moved to Seattle in 1994. She reviewed the book The Everything Store: Jeff Bezos and the Age of Amazon by Brad Stone and gave it a one star review. MacKenzie Bezos Divorce Settlement: On January 9, 2019, Jeff and MacKenzie Bezos announced that they were divorcing after 25 years of marriage. The couple married in 1993, one year before Jeff founded the company that would one day make him the richest person on the planet. At the time of their divorce announcement, Jeff had a net worth of $136 billion. It's almost certain that MacKenzie will be awarded half of all of Jeff's assets since they were all acquired during their marriage. If that's true, MacKenzie could be given as much as $70 billion worth of stock and various other assets. That would instantly make her the 5th richest person on the planet. Final Settlement: On April 4, 2019, MacKenzie announced over Twitter that she and Jeff had finalized their divorce and that she had been given $35.6 billion worth of Amazon stock. Jeff keeps 75% of their former holdings and will retain voting rights over her shares. The settlement instantly made MacKenzie the fourth richest woman in the world.